A book that, in the haunting tradition of In Cold Blood and The Executioner’s Song, lifts away the top layer of evil and finds complexity beneath, this is the bizarre tale of twelve young American soldiers who are deployed to Iraq in the summer of 2006. Rather than fight the enemy in combat, the men are unexpectedly assigned to guard the country’s notorious leader—Saddam Hussein—in the months leading to his execution. Living alongside, and caring for, their “high value detainee” in a former palace dubbed The Rock and regularly transporting him to his raucous trial, many of the men begin questioning some of their most basic assumptions. 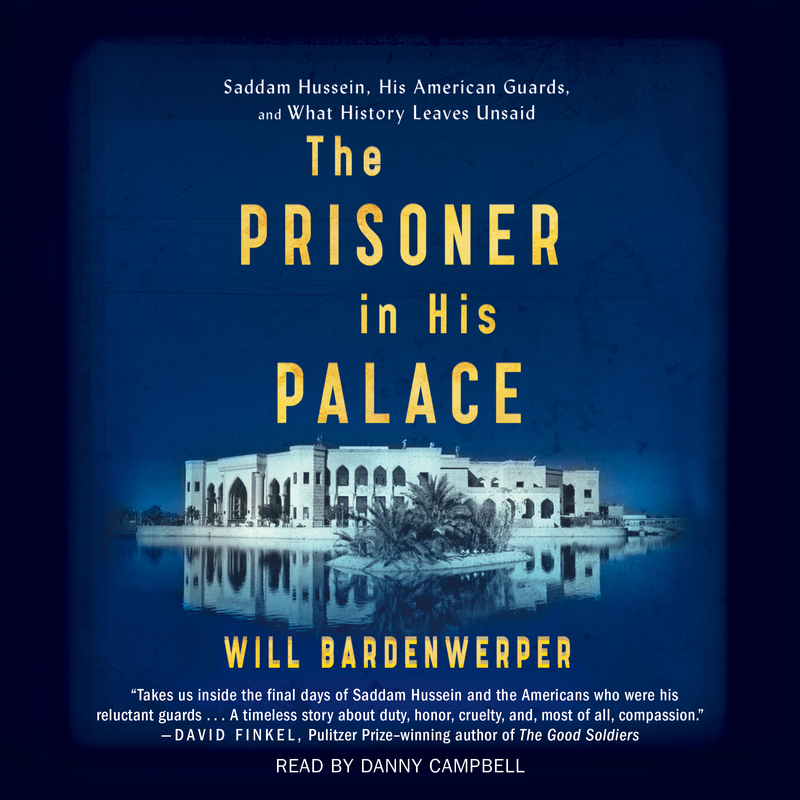 Thoroughly researched and provocative, The Prisoner in His Palace contrasts two very different Saddams: the defiant, younger man who uses torture and murder as tools, and the older man who proves affectionate, charming, and unexpectedly courageous in the face of looming death. In this artfully constructed narrative, Saddam, the “man without a conscience,” manages to get everyone around him to examine theirs. Many of those who bid goodbye to Saddam will be forever changed by the experience, and we wonder if we ourselves will.